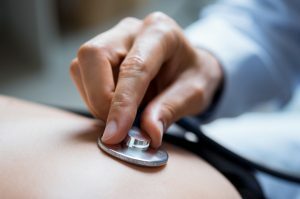 If you are a commercial vehicle driver that needs a DOT physical to retain their CDL in the Newport Coast, California, area, turn to the medical professionals at Vital Urgent Care. Our physicians are Yale-trained and will perform all the necessary tests and exams you need to update your DOT medical certificate. This includes a thorough physical exam, as well as an evaluation of your hearing, vision, heart rate, and blood pressure. To learn more about receiving a DOT physical from the Board-Certified physicians at Vital Urgent Care, contact us today. Our state-of-the-art facility, which is conveniently located near the Newport Coast, CA, area, is open 8 a.m. – 8 p.m. Monday through Friday and on weekends from 9 a.m. – 5 p.m.